On December 14, 2009, the Federal Register published Executive Order 13522. This Executive Order created the National Council on Federal Labor-Management Relations (Council) and required it to push a pilot program on bargaining permissive topics and submit a report on its effort. That report was subsequently published on the Council’s website in 2012. As of this writing, the report is still available but that may change now that President Trump has revoked the Obama executive order creating the Council. Federal employee unions are heavily involved in politics. They endorse and provide assistance to candidates during elections. They usually support Democrats who are running for office. Federal employee unions also supported Hillary Clinton in her campaign to become president. Had Clinton been elected, their fortunes would have continued to prosper. One consequence of the latest presidential election is that the Executive Order establishing federal labor management relations councils has now been revoked by President Trump. The United States Government should spend tax dollars responsibly, efficiently, and in the public interest. The National Council on Federal Labor-Management Relations (Council) and related agency-level labor-management forums have consumed considerable managerial time and taxpayer resources, but they have not fulfilled their goal of promoting collaboration in the Federal workforce. Public expenditures on the Council and related forums have produced few benefits to the public, and they should, therefore, be discontinued. The Director of the Office of Personnel Management and heads of executive departments and agencies shall, consistent with law, promptly move to rescind any orders, rules, regulations, guidelines, programs, or policies implementing or enforcing Executive Order 13522. FedSmith author Bob Gilson noted in an article published in 2012, a primary purpose of the Obama Executive Order was to expand the number of topics on which federal employee unions can bargain without having to change the federal labor relations statute. These topics, known as “permissive” topics of bargaining, allow federal agencies to bargain with unions (or not) as they see fit. Agency executives were strongly encouraged to open up bargaining on these permissive topics. Of course, what a president wants and what actually happens in agencies are not always the same. 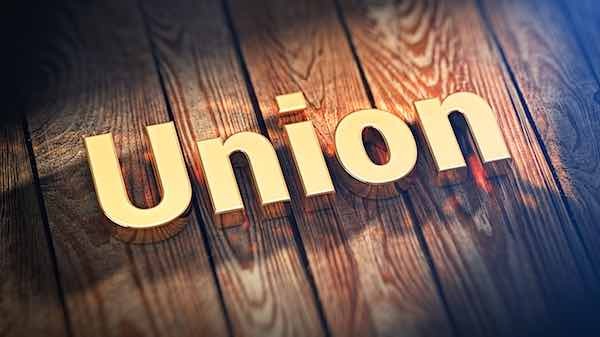 The Labor-Management Council did report some accomplishments and tried to expand the influence of the organization in federal agencies and to expand the role of federal employee labor unions. Gilson’s analysis of the accomplishments of the labor-management relations council echo the analysis as outlined by President Trump in his new Executive Order. Some agencies certainly expanded the scope of bargaining as directed by the Obama Executive Orders on this topic. Some agencies also reportedly implemented new labor contracts that extend for more than four years just prior to the start of the Trump Administration before new political appointees were in place. No doubt, some of these actions will be rolled by as a result of the new Executive Order and most agencies will, as they generally did previously, decline to bargain on permissive topics of bargaining. A central part of the Trump Administration’s plan will clearly involve the Federal Labor Relations Authority (FLRA). The FLRA under previous leadership created training documents designed to encourage an expanded scope of bargaining in compliance with the Obama Executive Order. With new appointees now awaiting confirmation by the Senate and an acting FLRA Chairman now sitting at the FLRA, this philosophy will presumably be changing. Obama Executive Order Issues: What's the Difference Between a Forum and a Negotiation?